The mahouts are very busy. As elephants still want to escape and hide in the rainforest, they decided to build a paddock for each elephant so they would not have to run after them all the time. First, each mahout needs a sufficient number of wooden stakes to build its enclosure. Only after having completed it, having delayed as much as possible his opponents, he can start looking for an elephant. Because, of course, all elephants have disappeared again! 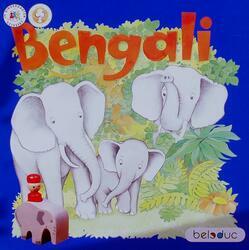 BENGALI is a game with beautiful wooden material. It teaches young players to reason, as well as to count and calculate. Change of scenery and pleasure guaranteed.